A recent case before the New Jersey Appellate Division asked the judges to consider whether a father should have a right of first refusal to provide care for his children when their mother was unavailable to provide care. The court concluded that the father had no such right and that increasing his parenting time in this way would not be in their children’s best interests. The couple at the center of the case of Ferrer v. Durkin divorced in 2014 after 15 years of marriage. The couple shared two children, aged 9 and 11. The mother works full-time as a nurse, while the father manages an ice cream franchise largely from his home. The parents share custody equally and live a seven-minute drive away from one another. When the children are not in school before the mother is off work, they are cared for by either their grandparents or aunt. During the parents’ divorce, the father had asked that he have a right of first refusal to provide care for the children when the mother was unavailable during her parenting time. The mother objected to this, and the judge overseeing the divorce conducted a hearing on the issue. 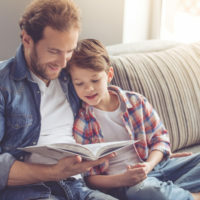 The father argued that he had a constitutional right to be the children’s caretaker as their father, superseding the visitation rights of their grandparents or aunt. The parents’ hostility toward one another became clear as the hearing went on. The judge found that the parents couldn’t reason with one another on even simple scheduling issues, but that the father was particularly unable to compromise. The judge concluded that the father had used the eight-day hearing to intimidate and “assassinate the character of his ex-wife,” rather than to pursue his children’s best interests. The judge refused the father’s request. He ruled that adding additional occasions for the parents to communicate with one another could only result in more conflict, and that complicating the parenting time schedule by having the father provide care to the children after school or during school breaks would do exactly that. The judge also found that there was a legitimate interest in facilitating a relationship between the grandparents and children through allowing them to care for the children. If you’re in the midst of a challenging custodial dispute in New Jersey, find legal help that will provide the dedicated and knowledgeable representation you need, and contact the Union family law attorney John B. D’Alessandro for a consultation, at 908-964-0102.